Nearly every job applicant has seen them. Nearly every HR Manager has written them. What are they? “They” are the dreaded “wants” job posting. From a better economy to a paradigm shift to non-traditional candidates, we have constant changes to our workforce, but not to our hiring approach. We seem to struggle in writing ads that attract because they are either too general (the focus of a future post) or too specific. Furthermore, we need to embrace career changers, the workforce subset of “Gig Economy” 1099 contractual or project-based workers, returning veterans, and those without a traditional four-year or two-year degree, or we will lose out on great employees. Business today struggles to find qualified workers, particularly in all manner of technical positions, so rethinking our search methods and hiring process will lead to a larger pool of capable candidates. In this post I would like to touch on crafting job postings that have specificity, but not to the point of ridiculousness, and I use a real example found in recent months online to portray my point. Below is a partial posting located on a large, well-known job board as to technical requirements for a programming position titled Java Programmer. Can we say unrealistic, oh, and not just a Java Programmer position. 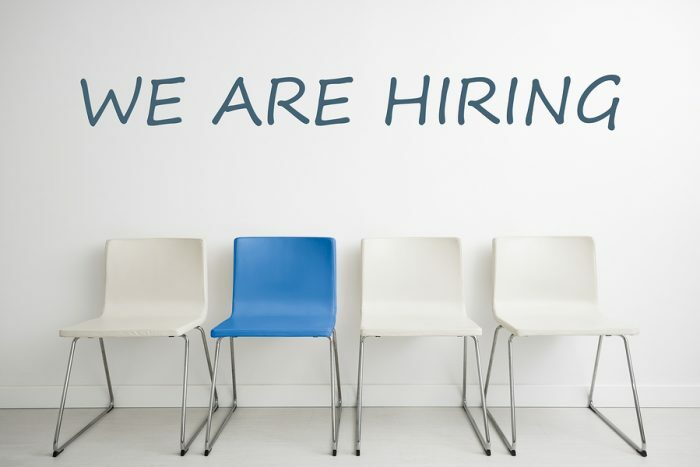 Furthermore, the job required at least five years of programming experience, a preferred Masters in a computer-related field, preferred OCPJP or SCJP certification, and preferred experience with Tomcat or tcServer, all in a 24/7 on-call environment, and with a multitude of additional supposed needs, like multitasking. I GUARANTEE the company does not have all the technology listed above or need it. Strangely, this ad is eerily similar to three other job postings on the same job board page for other non-related organizations. I also did a search for Kansas City, Missouri (my hometown) and found several similar ads. Two cities, multiple ads, and nearly identical in many ways, except job titles. Clearly we need a better approach. Many of these companies appear to “want” a person that may not exist, or as many IT professionals call it, a Unicorn, and are literally scaring away a good portion of qualified jobseekers. Undaunted by a lack of qualified applicants, these job postings occur frequently within the tech industry. My tech resume clients regularly tell of applying for these positions and finding out during an interview the company doesn’t need most items they listed. Companies must to determine WANTS versus NEEDS in both job postings and hiring, and realistically assess what they do and don’t have technology-wise to avoid creating laundry lists. The use of formulaic templates and copying and pasting from competitor ads needs to stop. Write from scratch and create a posting describing the true requirements of your job. You can use a quasi-template for how you write a job ad, and still be quite distinct from all others. Collaborate with the hiring manager and if possible, another person within that department in a similar capacity to the job being posted. What applications and systems do you actually have, and which of those will the applicant work with precisely. Only include the necessities. Lastly, as I have pointed out in prior articles, many of your applicants don’t have a degree but do have experience or training from legitimate educational organizations in the very areas you require. Let’s not discriminate against nearly three quarters of the population because of “shiny object syndrome” and instead pursue qualified candidates regardless of their possessing a four year degree. Ask for proof of ability in the interview process, inclusive of applicant demonstration of skills and career portfolios of work, to increase your quality of hire. By developing accurate postings, and treating your candidates with respect through ongoing communication, you will cultivate a valuable group of applicants who no longer shy away from your job postings and become an advocate for your company. Karen Silins is a multi-certified, award winning resume writer, career, business and personal branding coach working with individuals and small businesses. After graduating with degrees in education and vocal performance, she made her own career transition into the Human Resources realm. Karen left Human Resources to become an entrepreneur and help jobseekers and fellow entrepreneurs achieve their goals. She keeps current regarding trends in the resume writing, coaching, HR, small business and marketing industries by working daily with individual clients on resume development and career coaching, consulting for small businesses in business plan development, marketing, blogging, hiring and overall HR processes, and providing 30-70+ seminars and workshops annually to a variety of organizations in the greater Kansas City area. She can be reached via her website at www.careerandresume.com.